In 2008, various Tibetan Language books had been distributed through out the United States of America. While escorting the Karmapa to India, Tsewang Rinpoche saw the dilapidated state of several ancient stupas in Mustang and was inspired to restore them. In 2009, Danang Foundation was able to fund part of the restoration of the Mustang stupas. This program is ongoing. In 2009, Danang Foundation initiated restoration efforts in Mustang, Nepal, restoring ancient monasteries, Buddhist artifacts and stupas that showing signs of wear from weather and age. In efforts to prevent further losses of traditional Buddhist scriptures like those that were destroyed during the Cultural Revolution, Tsewang Rinpoche has commissioned the printing of many precious texts and donated them to monasteries, schools and libraries. Funded by Danang Foundation, and published with the help of Ven. Dzogchen Ponlop Rinpoche Nitartha Institute in 2009. 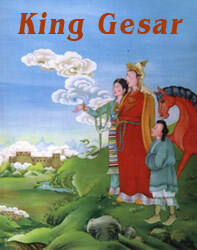 King Gesar is a Tibetan epic that is included on the UNESCO list of intangible world heritages. Considered the world’s longest poem, this epic speaks of the collective history of Tibetans and covers topics of geography, politics, religion, economy, culture, language, art, folk customs and more. However, much of this epic is retained only in oral forms. In 2009, Danang Foundation began to fund Tibetan scholars researching King Gesar, providing technological equipment and covering transportation costs and expenses for academic exchanges, so that this epic and its richness may be preserved for posterity.